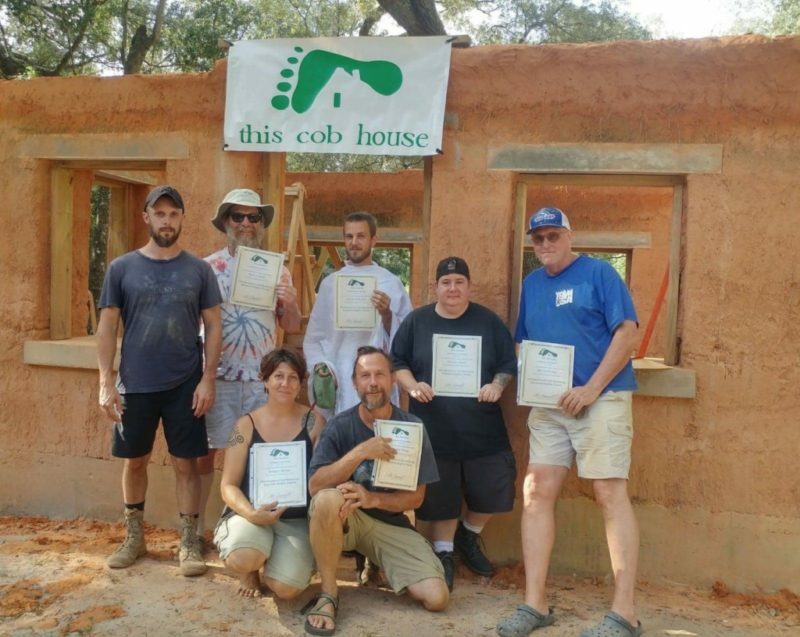 Cob Workshops Upcoming Events : : Installing a Roof with Fast Cob! 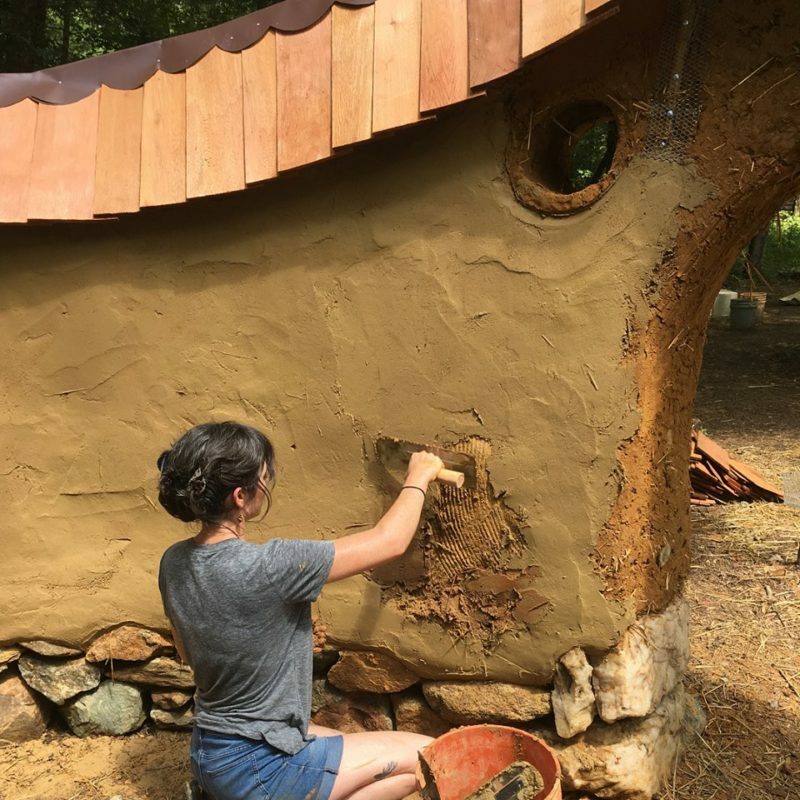 Installing a Roof with Fast Cob! This workshop will give you all that you need to go off and build your own…without exhausting yourself or spending years doing it. During the workshop, you’ll have 30 different sessions scheduled for your intensive learning. 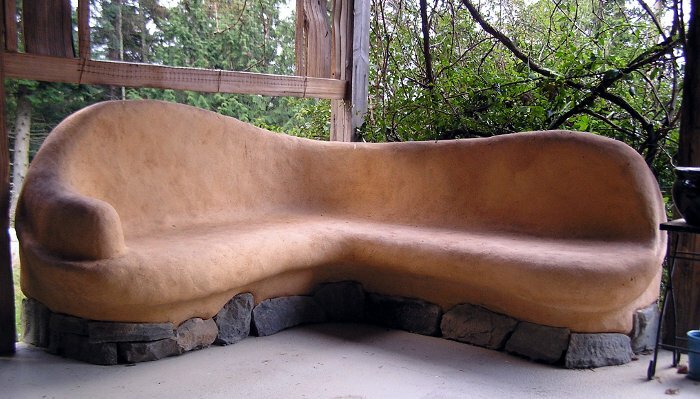 We’ll go over design basics, foundations, install windows and doors, see how electrical and plumbing are easily integrated into cob, and finish with a natural plaster. And not only will we learn Fast Cob!, we’ll learn Super-Fast Cob!, too! This workshop will also have the opportunity to install a glass and metal roof in the shape of half-a-heart. We’ll lay the roof beams on and tie them in so the winter storms don’t lift them off again. Fast Cob! will provide us with all the material we need to build the walls up to and over the beams. We’ll also be using a block and tackle to lift pallets of cob to the 2nd floor, so you’ll see how to easily lift without electricity or expensive tools.